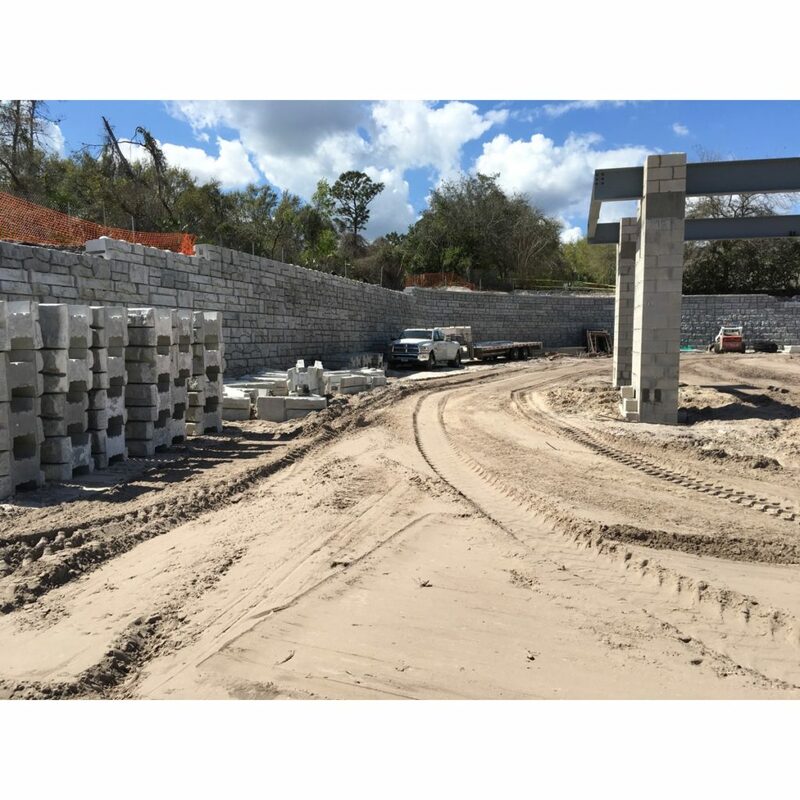 Structures was solicited for the VyStar Credit Union project in Orange City, Florida to come up with a value engineered design for a proposed H-Pile retaining wall system. The credit union was challenged with using minimal space for the retaining wall due to the essential need for an effective driveway, drive-thru, and parking lot for their customers. Structures came up with a gravity retaining wall system using RediRock blocks. 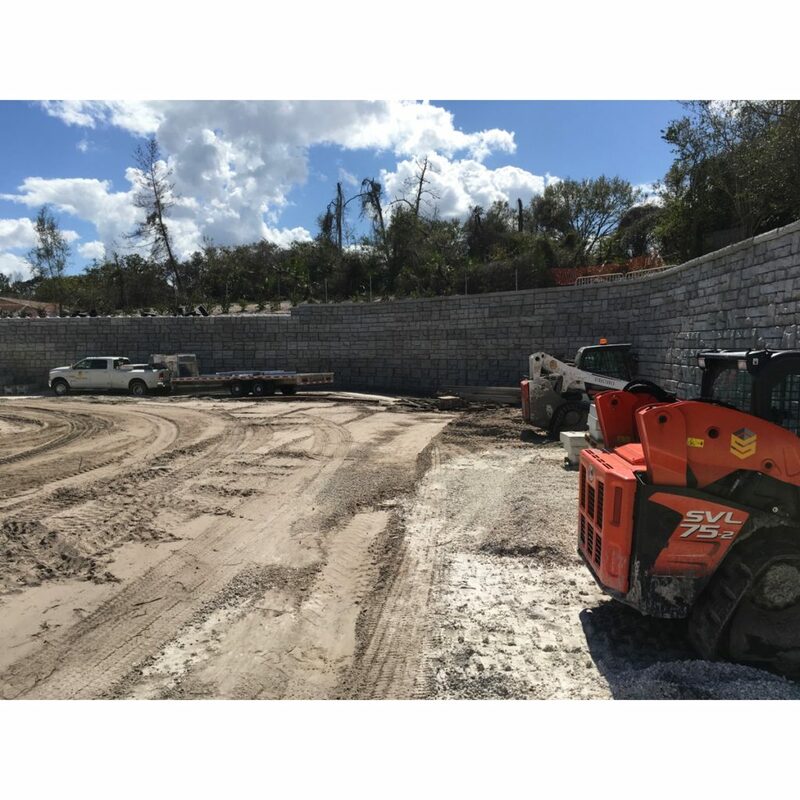 With the new design, Structures managed to take over 600 LF of H-Pile wall and cut it down to less than 100 LF, which was needed to support an adjacent structure during construction for a safe working environment. 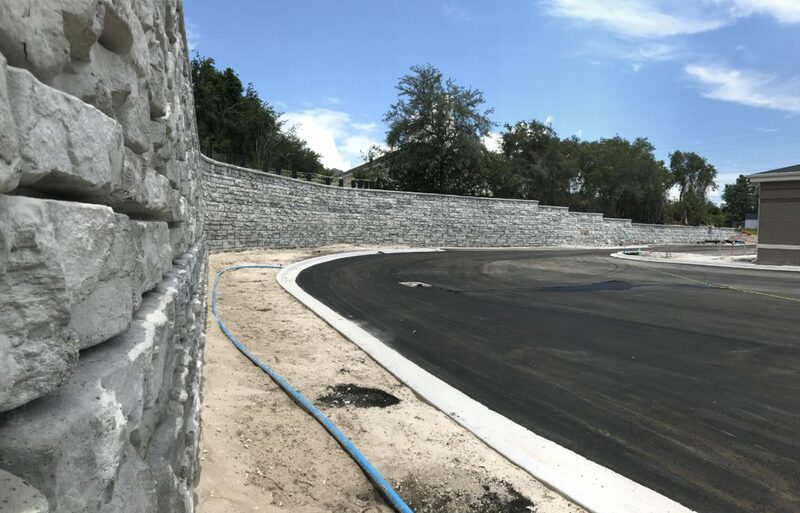 The new RediRock design used units as big as 72″ deep (nearly 2 tons) for the base to create long term structural stability for the retaining wall. 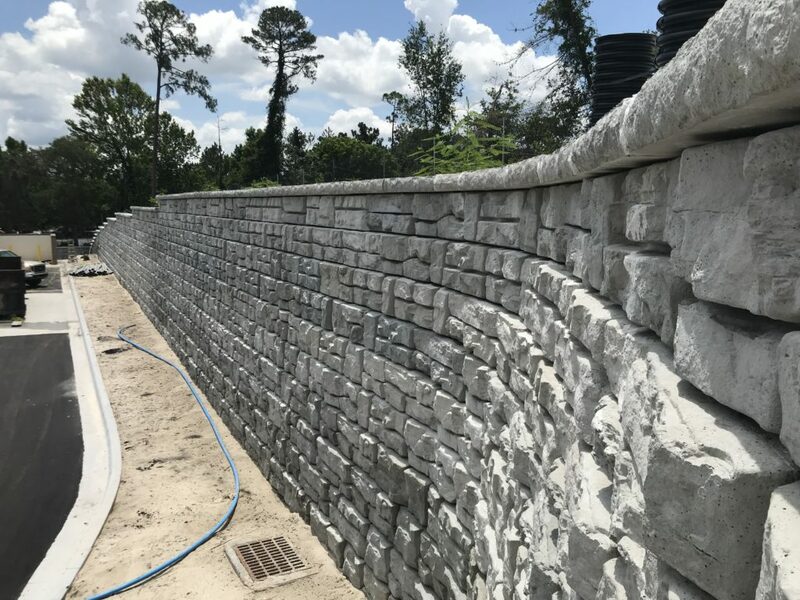 The RediRock Magic Block design was used where 120 LF of the wall came very close to the neighboring property and kept a 9′ tall wall structure at less than 30″ thick. This design was a successful solution as it presented high aesthetics for the client while saving money. Architect: Parker Mynchenberg & Associates, Inc.